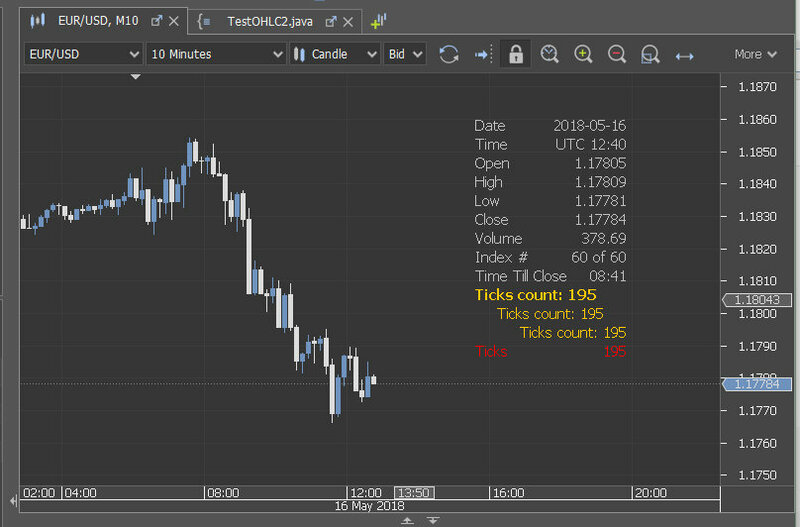 OHLC (Open, High, Low, Close) is a chart object which not only contains the price and date information, but also can contain user defined information. In the following example strategy adds tick count to the OHLC object and demonstrates how one can vary the positioning of this textual information. * and on every tick updates the customized user info on it.